From nine to five in the corporate world to setting up his own workshop. 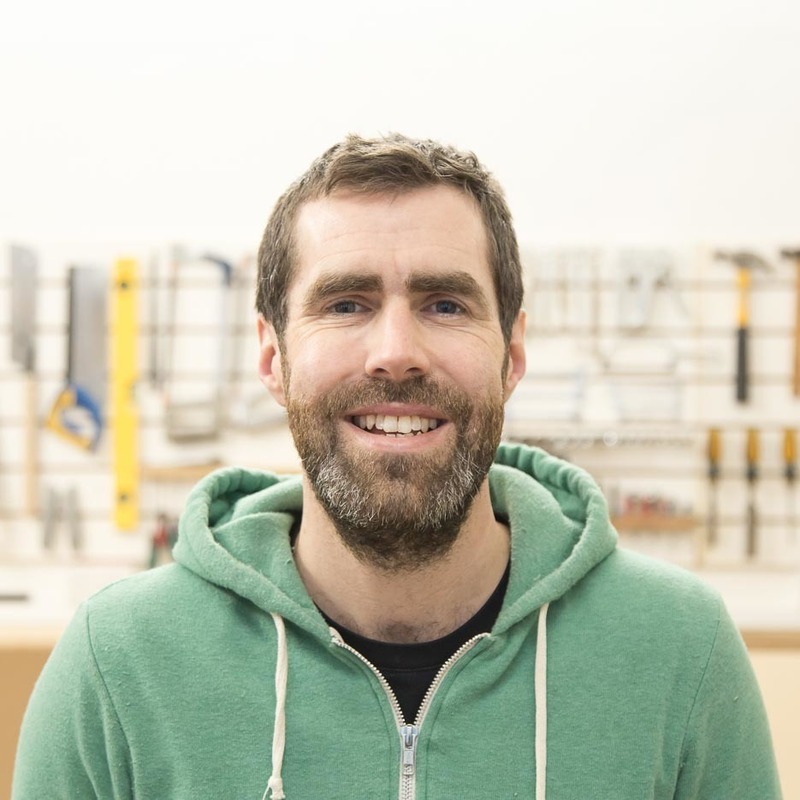 We meet Drew from Hub Workshop in Peckham, South East London. Located in Peckham, South East London, just 50 yards from Peckham Rye Station lies Hub Workshop. 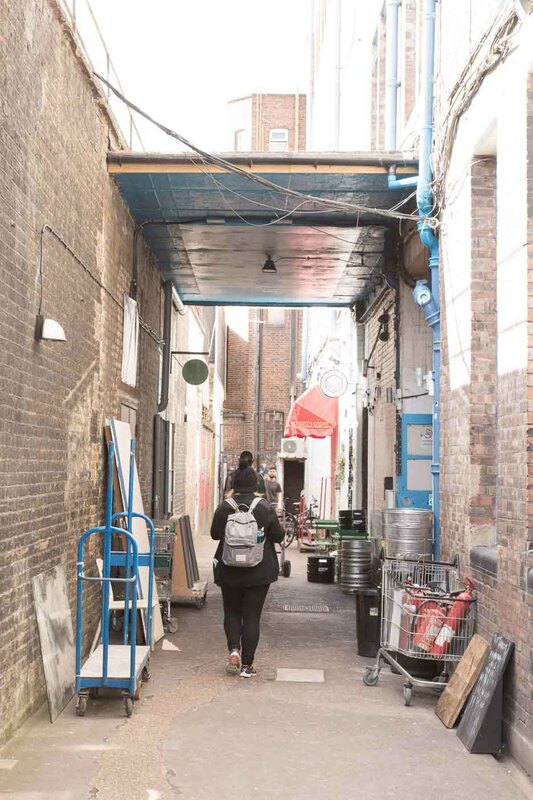 Their space is based in the iconic Bussey Building alongside a thriving community of architects, designers, artists and makers nestled amongst yoga studios, record shops, cafes, bars, and galleries. We meet founder Drew and chat about life in the workshop in London’s renowned creative district. 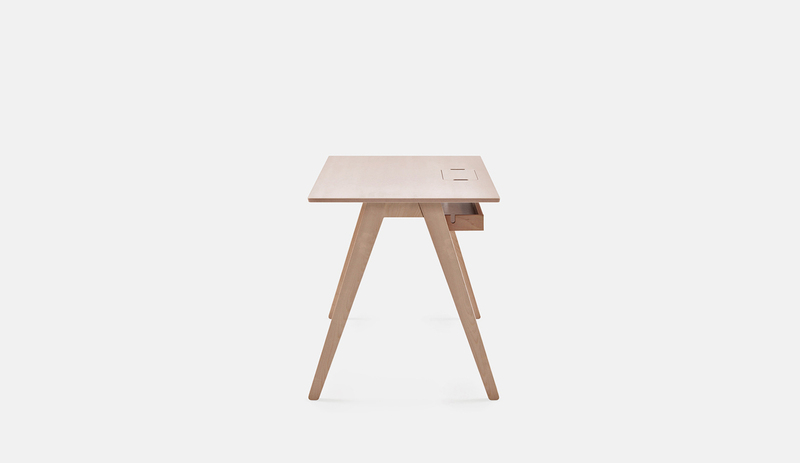 Opendesk: Give us a brief history of you. When did it all start and why? Drew: We founded Hub Workshop in 2015. I was looking to start a creative business having previously worked in the corporate world. I’ve always had a passion for design and making, so 2015 was the year I decided to take a leap of faith. I packed up my nine to five and started my own workshop! 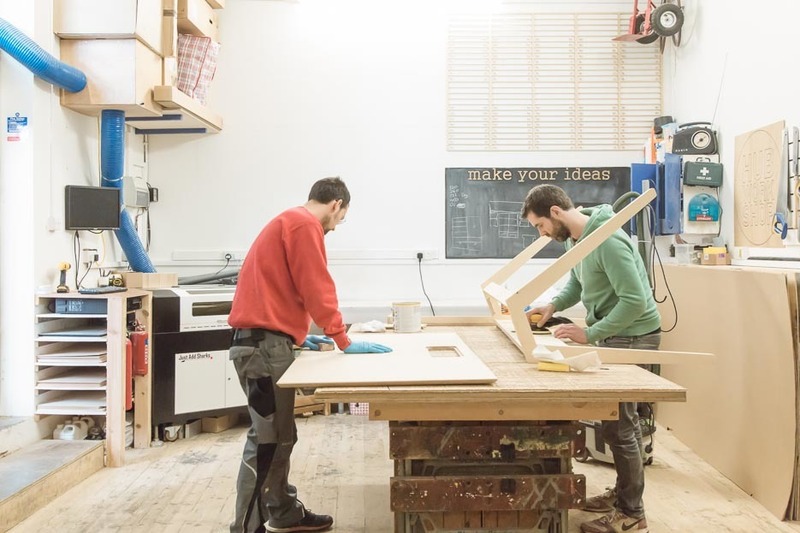 It all began with the belief that digital fabrication tools made it possible to make high-quality products locally, in a fast and affordable way - so we created a workshop in the City. Locality was important to us, so basing a workshop in London, for Londoners seemed fitting. 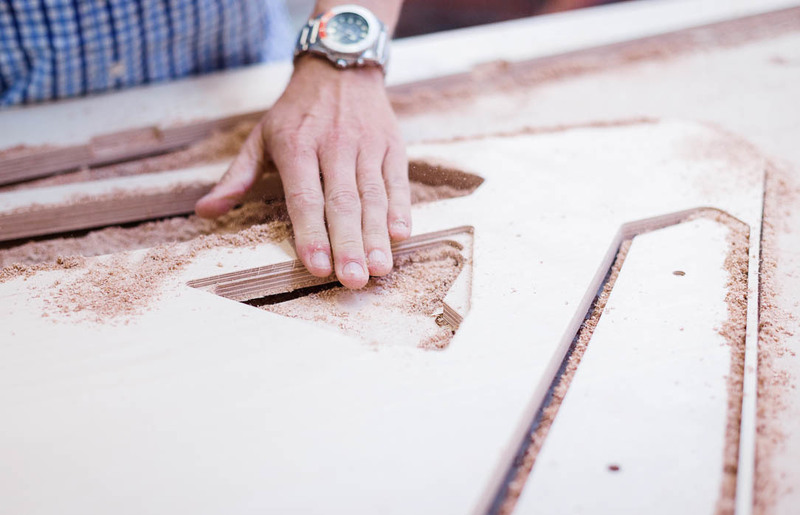 We offer a professional digital fabrication service specialising in CNC manufacturing and laser cutting. We work with private clients, architects, creative businesses, design studios and the wider creative community. Our team consists of designers and craftsmen who have a wide range of skills and competencies. Opendesk: Tell us about the team. Drew: The workshop is headed up by James (below right) and me (below left) who are regularly supported by a network of freelancers on a project by project basis. Wherever possible, we bring in talented creatives from the local community with ranging levels of skill and experience. 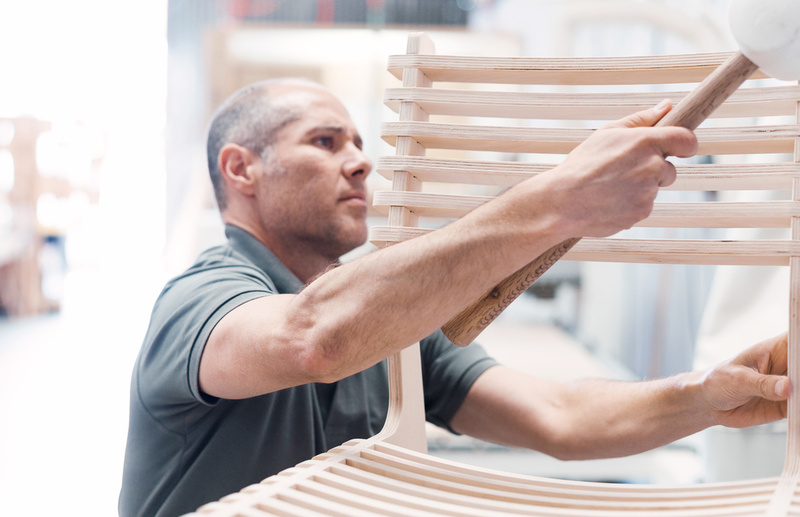 In this way, we hope to deliver high-quality projects whilst sharing value with local craftspeople. Drew: Hub Workshop has grown solely on word of mouth recommendations and as such we are focused on designing and making high-quality projects to meet and exceed customer expectations. In this way, we hope to harness the power of word of mouth by bettering our reputation every single day! 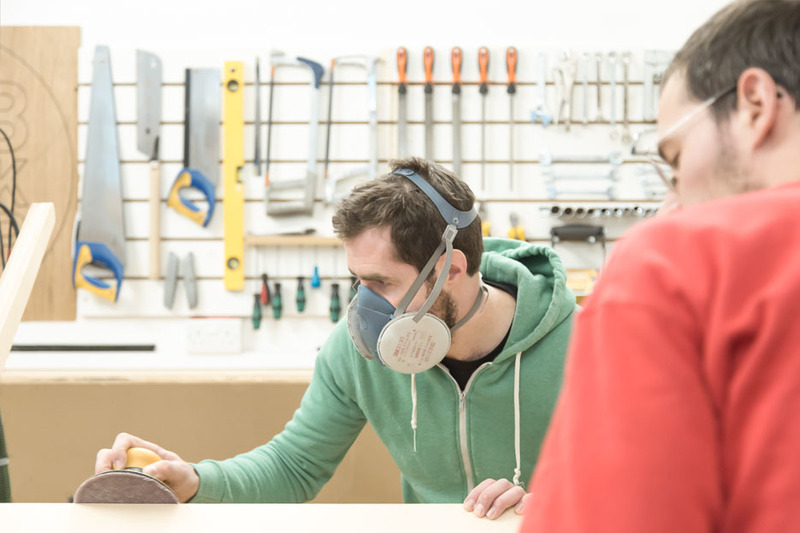 We aim to be efficient, cost effective and approachable, and our workshop is (nearly) always tidy! 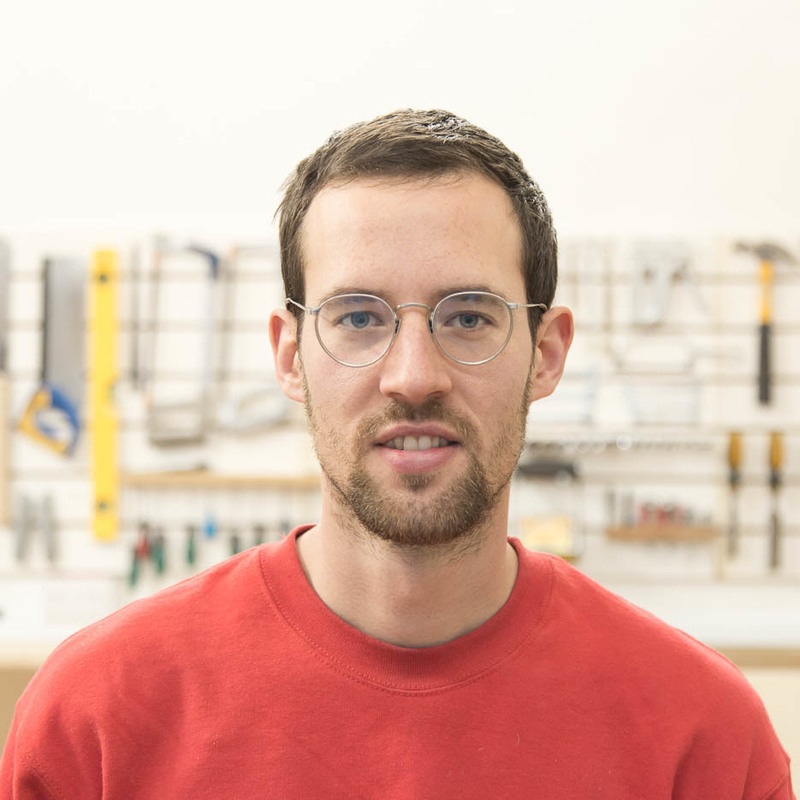 Why did you register as a maker on Opendesk? We came across Opendesk when researching the market before setting up Hub Workshop. 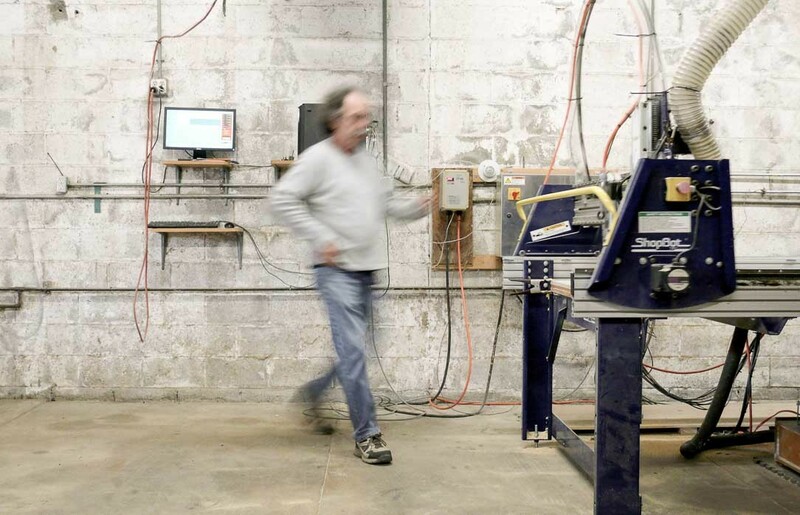 We share and identify with the concept of digitally distributed designs and local making. The opportunity to build a new supply chain with Opendesk is hugely exciting and we’re thrilled to be part of the maker network. 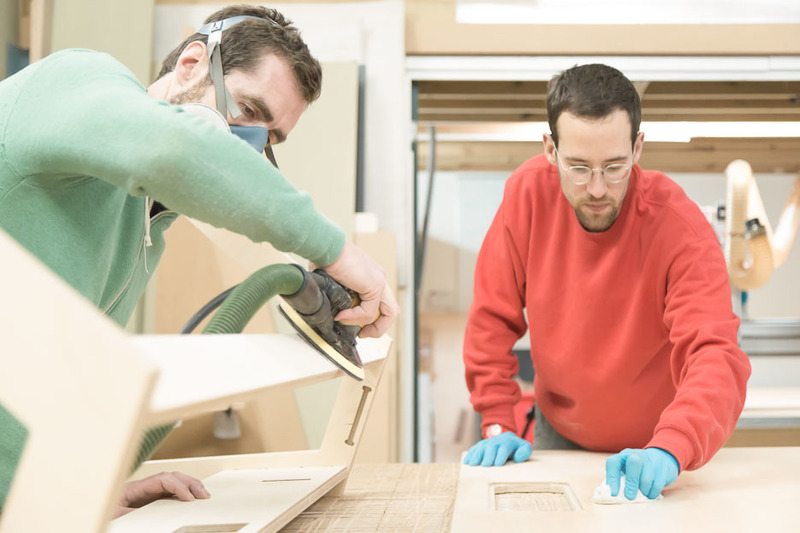 We share many values and believe strongly in the headline that locally produced furniture and local customers equals reduced waste, reduced packaging, reduced transport costs and no need to hold stock. Everything is made on-demand, from order to delivery in only a couple of weeks. It’s a romantic but also entirely logical concept. 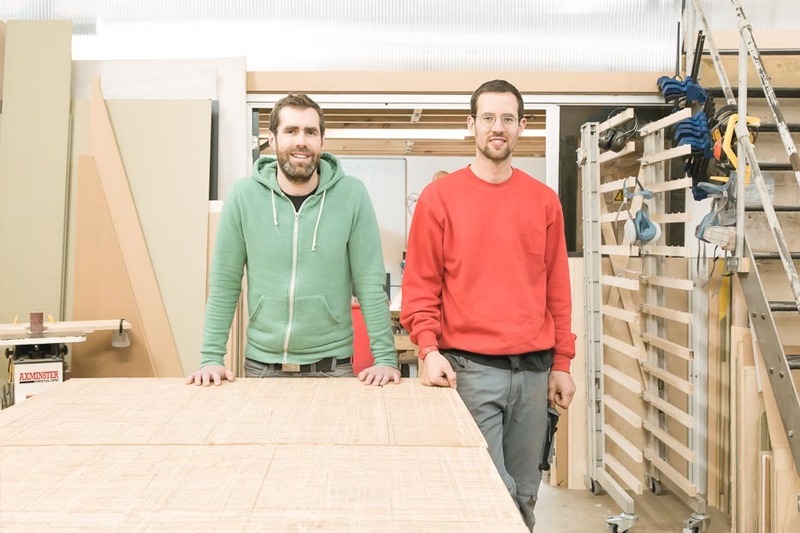 Opendesk: What’s your favourite design to make? Drew: We’re big fans of the Cafe Table - an interesting yet simple design. We have a white laminate one in the workshop for client meetings, and it’s rare if we don’t get compliments about it. What is it you most enjoy about making Opendesk furniture? 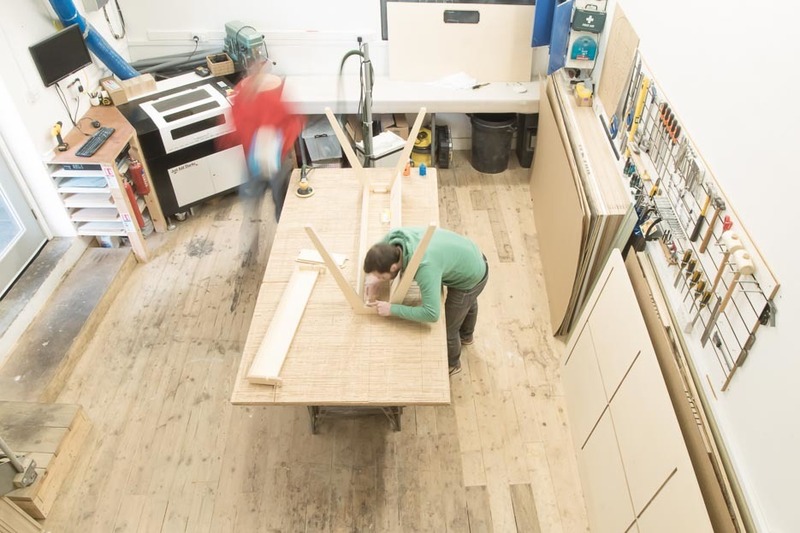 We’re always captivated by the idea that you can convert a digital file into a beautifully crafted piece of furniture, with a single machine, in a small workshop, in the city, in a matter of days. We’ve been doing it for a while now, but it continues to inspire us. Because Opendesk designs are tried, tested and verified, we feel safe in the knowledge that furniture will come out great every time! Because we are part of a much wider network of independent makers, we can provide ideas and insights for improving designs from our own experiences in the same way any other maker can. We can participate in the development of designs by providing feedback, which Opendesk can refine into design improvements. Opendesk: Tell us about your workshop tools. 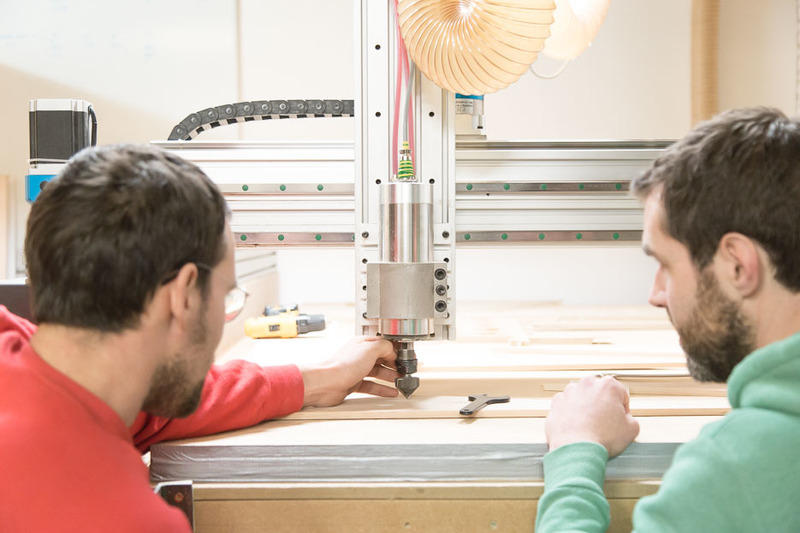 Drew: We’re kitted out with CNC machines, a laser cutter and a fully equipped workshop (including Festool/Mirka hand tools, pillar drill, bobbin sander etc) where our carpenters assemble and finish CNC projects including Opendesk furniture. Our studio also has a 3D printer and commercial coffee machine which is everyone’s best friend come deadline day! 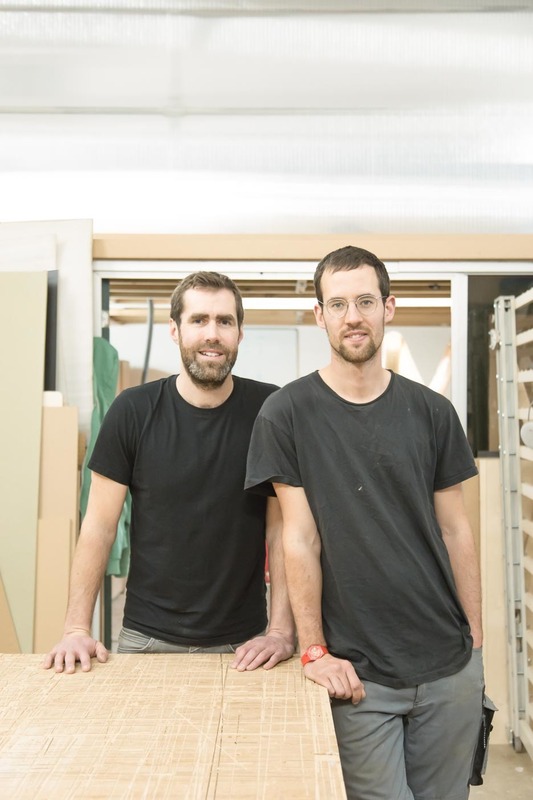 We have big plans over the next few months - a new CNC machine is arriving, we’re moving into a larger workshop nearby, and we are expanding the team. It’s going to be a very busy year!